Outsource mobile app developers are easy to find on sites such as eLance. To post a job on Elance go to Elance and sign up. It’s a very fast process, and it’s free to join. You’re able to post your project immediately and you’ll start getting applications for your position within minutes. You’re then able to ask for samples of the work and have them take tests to prove their ability to perform the job correctly. You can check their profiles to ensure they are qualified and that they have been rated positively by other employers, and you have the right to choose whomever you believe is best suited for the job! iPhone and Android app developers can be found on these outsourcing sites with ease. You are going to be impressed with the plethora of people to choose from. Many outsource mobile app developers are full time freelancers. This means you could offer them the project today, and they could begin working on it, today. You have no time gap and no additional costs in training and preparation. You essentially have everything you need right at your finger tips. The greatest benefits about outsource mobile app developers is that they want to please you. They want to do the very best job possible to ensure that you give them a good rating. The better a freelancer’s rating, the better chance they have at receiving more jobs. Also, you get to set the time frame in which you want the project completed. You’re free to send the outcome back and request it be redone if it doesn’t meet your requirements. Outsource mobile app developers take pride in the job they do. They want to do the best job possible and get the project done in a timely fashion. With outsource companies you have nothing to lose and so much to gain. You can hire two people for the price that you’d normally hire one and that way you get the best of everything. You’ll be able to compare and choose the work that you prefer, and maybe even extend a permanent offer to the outsource mobile app developer that does the best job. You don’t need to bring a bunch of people into your office and interview them; you can do it all online. This is especially beneficial if you’re in a smaller city where there are not as many mobile app developers to choose from. Maybe you’re looking to outsource to ensure that you have found the right person in your office. Maybe you want to outsource because it’s cheaper and faster. Whatever your reason for wanting to outsource mobile app developers, you’ll find what you’re looking for at eLance. ELance is free to sign up with and easy to use, so you have no reason to not sign up today. Give it a try and see how great a site it is for you and your business. You won’t be disappointed. 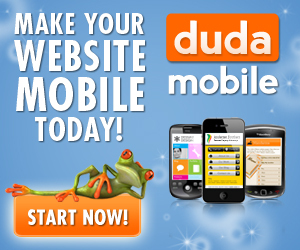 Look Below to Sign Up for our 100% Free Mobile Marketing Training! Nice post but you forgot to mention that another benefit from hiring through such sites is that you can keep track of people who are working on your project. You have options of either going fixed price where you pay certain amount to do certain work or you can go with hourly rates where you hire people to work in hourly manner and work time is tracked using screenshots and webcam shots.